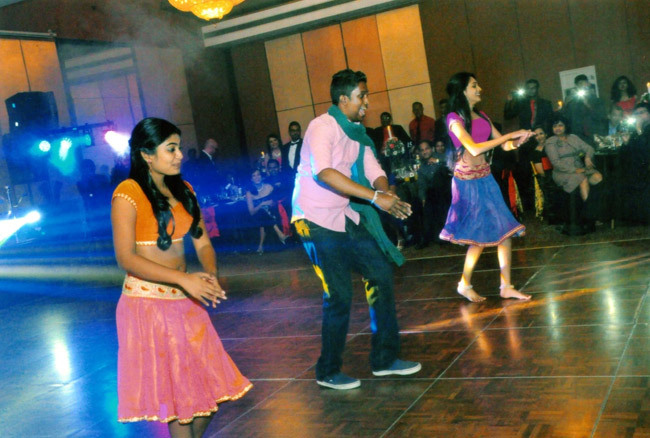 The 12th ‘Rhythm-Nite’ Dinner-Dance, organized by the “RHYTHM WORLD DANCE STUDIO” became a reality on Saturday the 13th of February, 2016, at Hotel, Ramada Colombo with two dance bands in attendance “Sohan & The X’periments” & “Nalin & the Cool-Set. 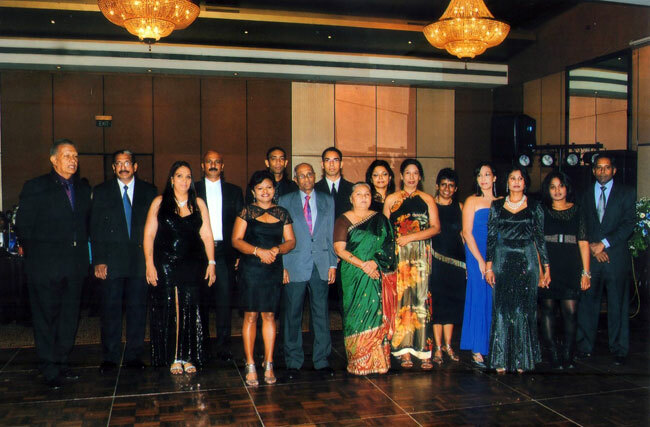 The compering of the event was handled by Dananjaya Hettiarachchi, Shenelle Perera & Sohan Weerasinghe. The evening was a night filled with fun, dance and entertainment mainly due to the enthusiasm, spiritedness and goodwill of all those present. The dance floor was filled with dance enthusiasts throughout the night. Special dance performances by students of Rhythm World kept the crowd entertained whilst Sachi Gamage entertained the guests with a few ballads in keeping with the theme – Valentine Ball. Performance of Rumba	-	Lankesh & Hansani. 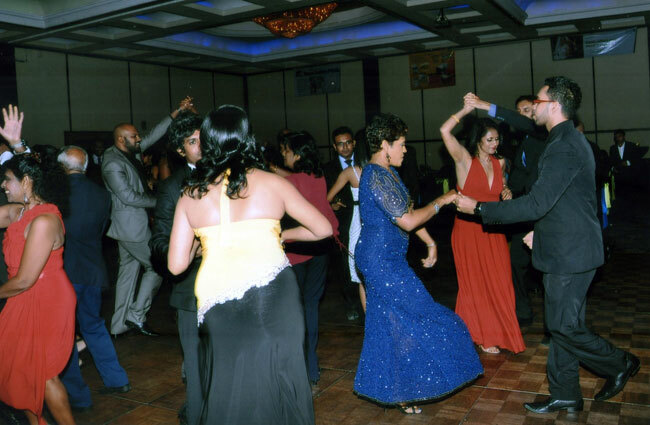 The “11th Rhythm-Nite Annual Dinner” –Valentine Ball, Organized by the ‘Rhythm World Dance Studio’, held at the ‘Grand Ballroom’ of Galadari Hotel, Colombo, on Saturday the 14th of February, was a grand success this year too. The ballroom, of the Galadari Hotel was packed with dancers, and with Sohan & The X’periments along with Nalin & The Cool Set providing the entertainment it turned out to be a great night. The dancing was exciting to watch as the students – both young and old displayed their dancing prowess with much enthusiasm and skill. The demonstration dances of a fascinating Waltz, cheeky Cha Cha and ever popular Bollywood, performed by students of Rhythm World were a class by themselves, thoroughly enjoyed and well-applauded by the viewers. There was a special “Baila performance” by the reigning Rhythm World Baila Champions too. There were several draws and competitions including the ‘Baila competition’. These came with valuable prizes and surprises. The entire evening was kept alive and kicking till 4.00 am. by the ‘Master of Ceremonies’, Arfath Saleem. THE 10TH “ RHYTHM-NITE ” DINNER DANCE"
The 10th Annual Rhythm World Dinner Dance once again became a successful reality at the Grand Ballroom of Waters' Edge Hotel on Saturday the 8th of February, 2014. As usual the hall was packed to capacity with dance-lovers, mainly members of Rhythm World Dance Studio. As is the customary at all events of ‘Rhythm World', the evening proceedings commenced with the lighting of the oil lamp at 9.25 pm, immediately followed by the opening of the dance floor to the enlivening, spirited and rhythmic music provided by the ever-green “Sohan & The X'periments' and ‘Nalin & The Cool-Set'. There were competitions and fun, prizes and surprises, floor shows and entertainment galore. The dance floor was always filled to capacity with dancers dancing their cares away and having a ball ! The highlights of the evening were three floor shows performed by students of Rhythm World, some of whom had won places at International Dance Competitions overseas and in Sri Lanka. A graceful Viennese Waltz , a scintillating Samba and an all time favorite a Bollywood dance . An unexpected entertainment surprise was a guest-spot by the young up-coming songster, Sachi Gamage , who kept the youngsters happy with his versatile singing. Obviously the Dance Committee had done a wonderful job by way of organizing everything to perfection because everyone had such a rollicking time that the dancers refused to leave the dance floor even at 4.35 am when the bands announced that it was the finale ! 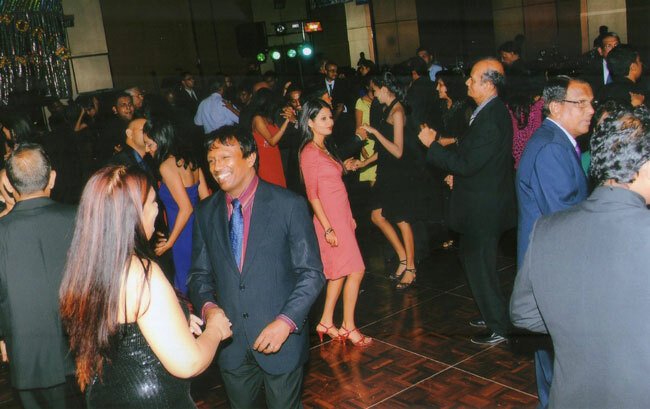 Such was the intensity of enjoyment and fun experienced at the 10th Rhythm-Nite Dinner Dance, mainly due to the togetherness and family atmosphere that always prevails at “Rhythm World”. The “9 th Rhythm-Nite Annual Dinner” Organized by the ‘Rhythm World Dance Studio', held at the ‘Grand Ballroom' of Hotel Galadari on Saturday the 16 th of February was a great success this year too, with the dance floor packed to capacity with couples dancing their cares away. The dancers were further motivated by the lively tempo of the tantalizing music provided by ‘Sohan &The X'periments' and ‘Nalin & The Star Combination' , providing non-stop music for until 4.30 am the following morning. The demonstration dances of a Waltz, Samba/ Salsa & Free Style performed by the students of Rhythm World were a class by themselves, thoroughly enjoyed and well-applauded by the viewers. There were several draws and competitions including the ‘Baila competition'. These came with valuable prizes and surprises. Mr. Dananjaya Hettiarachchi, an International Award-Winner of the Toastmasters Guild & student of Rhythm World. The arrangements and décor for the success of the dance was, as usual, in the hands of the members of the Dance Committee who worked tirelessly to make the evening a roaring success ! All in all, the Rhythm World dinner dance was an unforgettable experience which will remain in the memory of many till next year ! The “8 th Rhythm-Nite Annual Dinner” Organized by the ‘Rhythm World Dance Studio', held at the ‘Grand Ballroom' of Hotel Galadari on Saturday the 18 th of February. The lively tempo of the tantalizing music was provided by ‘Sohan & The X'periments' and ‘Nalin & The Star Combination' . The ‘Master of Ceremonies', was Mr. Dananjaya Hettiarachchi, an International Award-Winner of the Toastmasters Guild & student of Rhythm World. The five demonstration dances were performed by the students of Rhythm World using their own innovations and techniques. 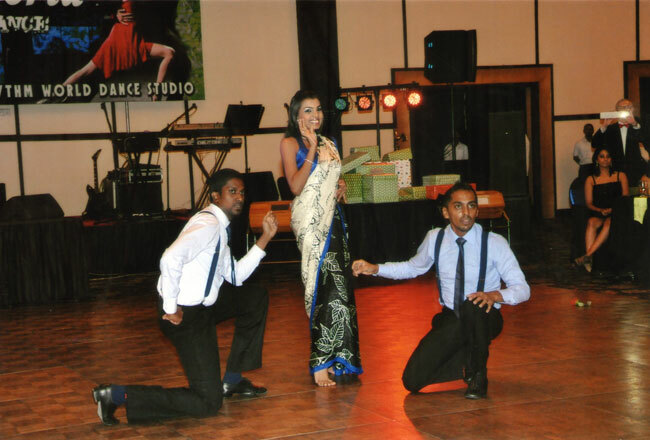 In addition, there was a ‘Show Dance' performed by the ‘Show Dance' Champion of the Sri Lanka International Rhythm World Dance Championship 2011. The entire evening was kept alive and kicking till 4.00 am. The success of the dance was, as usual, due to the untiring efforts and commitment of the members of the Dance Committee. 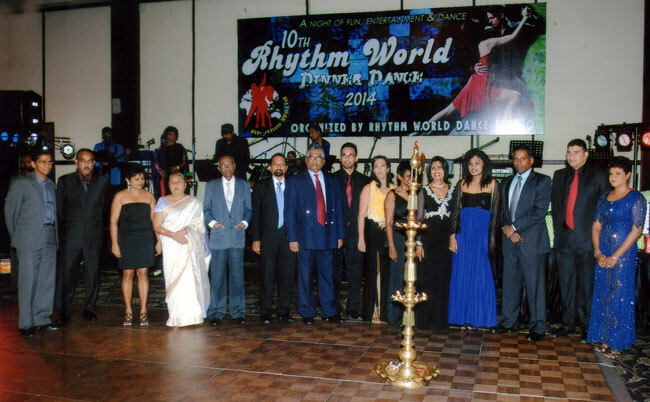 This year too the Rhythm World Dance Studio organized its Annual “Rhythm-Nite Dinner Dance” for the “Seventh” year in succession on the 13 th of November, 2010 with two popular dance bands in attendance - ‘Sohan & the X'periments' and ‘Kismet', whilst Viran Corea compered the show. 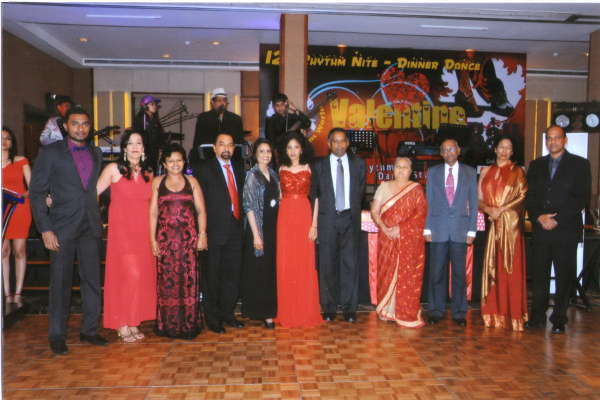 The Dinner Dance this year was held at the ‘Grand Ballroom, Waters' Edge Hotel, Battaramulla. The proceedings commenced with the lighting of the traditional oil-lamp, by Shiromi Perera Dayaparan and the Committee Members. 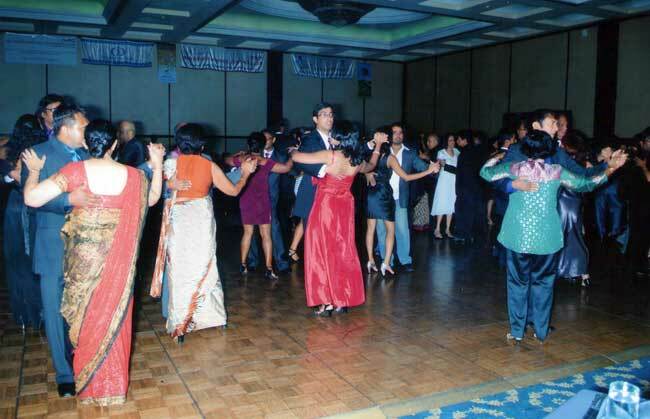 As most of those present were enthusiastic students of Rhythm World and from many other dance schools in the country, naturally the dance floor was fully occupied throughout the night till dawn with happy dancing couples enjoying themselves thoroughly . A few dance acts were performed by students of Rhythm World to keep the crowd entertained. As always the predominant feature of this Rhythm-Nite Dinner Dance was the genuine aura of friendliness and togetherness that pervaded throughout the night. “ Oh what a night ” were the words of the Presley song that came to mind at the Rhythm World's 6th Annual Dance . The theme of the Dance was Fire and Ice. 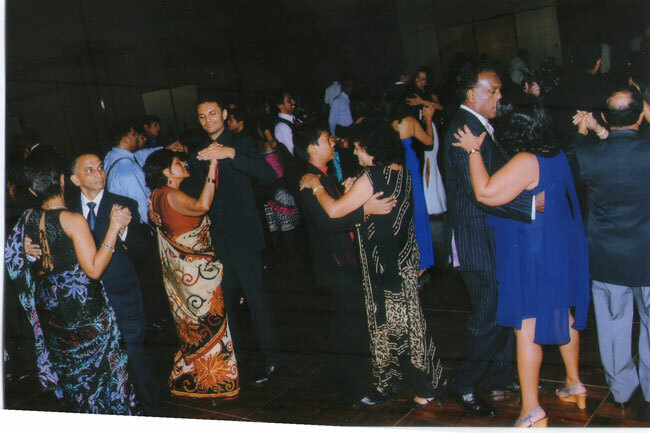 The dance was held this year in the Grand Ballroom at Waters' Edge Battaramulla on the 21 st November, 2009. It was fun to attend a dance where the camaderie and fun resonated through out the night, as pupils from beginners to Medal Levels of the Dance Academy waltzed, sashayed and jived with ease on the spacious dance floor. What was refreshing was the interspersion of professional dancing with items choreographed by some of the pupils themselves, such as the Pooja Dance. Some of the other dance demonstrations were the ‘Fusion dance' of the Jive & Kandyan dancing; The Cha Cha Cha and a ‘Salsa' . There was also a singer from the ranks, who kept us entertained between the numerous sessions of dancing. 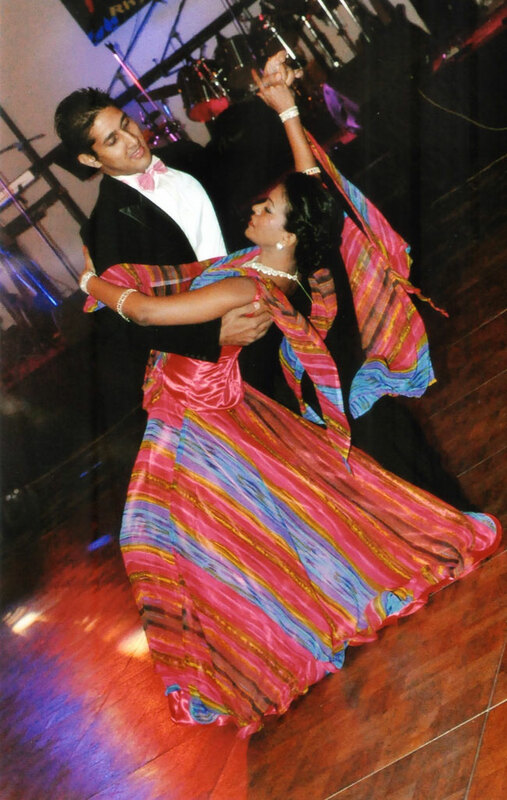 Fresh from their success at the World Dance Championships, Rustom Yusuf and Roshanthi Nanayakkara displayed their skills in the Rumba. The duo were trained by Shiromi Perera Dayaparan, the leading light and enthusiastic owner of the Academy. The high standards of excellence, discipline and hard-work had certainly paid off in the standard of dancing that was witnessed. The ‘Milonga' was performed by two dancers from Canada to the delight of all present. The bands in attendance to ensure non-stop dancing were ‘ Sohan & The Experiments' and ‘ Cosmic Rays' with Viran Corea keeping the show going. The ‘ Dance Committee Members' who were a paradigm of enlivening enthusiasm, untiring efforts and unwavering dedication made this event a success with much gaiety ! This is not an event not to be missed by all those keen Ballroom and Latin dance lovers, so keep the date free next year in your diaries. The fifth Annual Rhythm-Nite Dinner Dance organized by the ‘Rhythm World Dance Studio' was held at ‘Cinnamon Grand' Hotel with ‘Sohan & The Expe riments' and ‘Kismet' providing the lively music, and Viran Corea at the mike with his enlivening compering as usual. The lighting of the oil lamp was followed by a dance performance by two very young students of Rhythm World and thereafter warm-up dancing to a packed floor and thereafter until dawn there was gaity and genuine enjoyment all around. The evening provided a variety of entertainment and thrills, catering to both the young and the elderly ; with exhibition dances of a tintillating Ballroom performance, a Cha Cha Cha & a Rocking Jive and a great performance by the Senior Citizens of Rhythm World proving that dancing is not only to be enjoyed by the young. As in previous years, an atmosphere of genuine happiness, sincere togetherness and family-homeliness prevailed throughout the evening till dawn, keeping with the Rhythm World theme of ‘Dance for pleasure & Love it forever'. The Dance-committee with its meticulous planning and organizing ensured an unforgettable, enjoyable evening, as achieved in previous years. The fourth Annual Rhythm-Nite Dinner Dance organized by the ‘Rhythm World Dance Studio' was held on the 27 th of October, 2007, at the ‘Khadija Ballroom', Hotel Galadari, Colombo with ‘Sohan & The Experiments' and ‘Nalin & The Star Combination' providing the lively music, and Viran Corea at the mike with his humourous enlivening compering as usual. 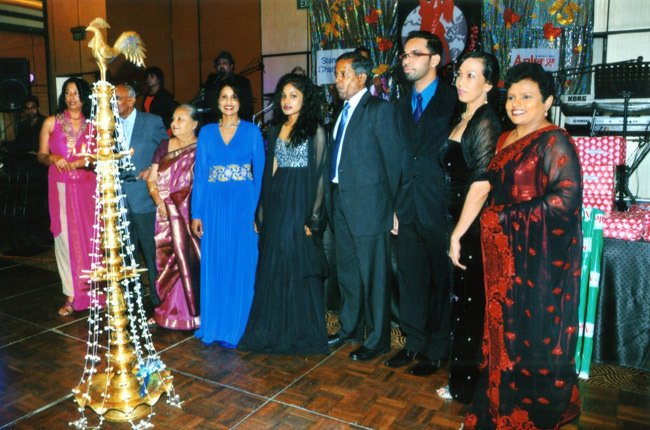 The evening's proceedings commenced with the lighting of the traditional oil lamp by the Directress, Shiromi Perera and the Committee members, who were escorted to the hall by a troupe of Kandyan Dancers. The lighting of the oil lamp was followed by warm-up dancing to a packed floor and thereafter until dawn there was gaity and genuine enjoyment all around. The evening provided a variety of entertainment and thrills, catering to both the young and the elderly ; with a exhibition dance of the Romantic Rumba, a tintillating Ballroom performance, a Cha Cha Cha Latin in line fused with a Kandyan dance and a great exhibition performance by the Senior Citizens of Rhythm World proving that dancing is not only to be enjoyed by the young. The re-launching of the Web-site took place after the celebration time of cutting of the Anniversary cake. And as in previous years, an atmosphere of genuine happiness, sincere togetherness and family-homeliness prevailed throughout the evening till dawn, keeping with the Rhythm World theme of ‘Dance for pleasure & Love it forever'; at which time the dancers had a breakfast of ‘kiribath and lunumiris' before hitting the road with the determination to meet at the Rhythm-Nite next year ! 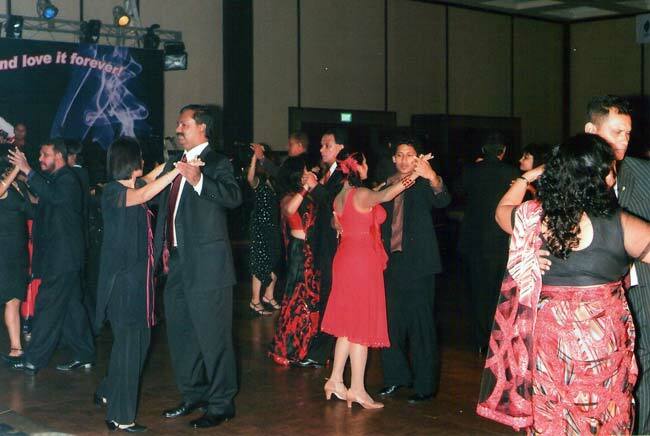 This year too the Rhythm World Dance Studio organized its Annual “Rhythm-Nite Dinner Dance” for the “Third” year in succession on the 28 th of October, 2006 with two popular dance bands in attendance - ‘Heat' & ‘Nalin & the Star Combination', a guest spot by popular vocalist Corinne Almeida and Viran Corea compering the show. 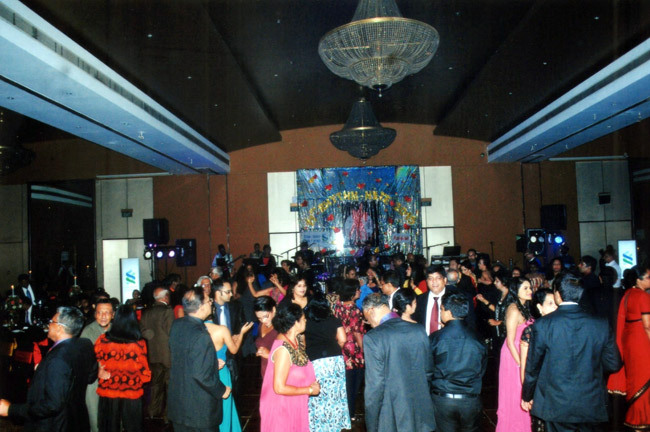 The Dinner Dance this year was held at the ‘Khadhija', Grand Ballroom, Galadari Hotel, Colombo . The proceedings commenced with the lighting of the traditional oil-lamp, by Shiromi Perera Dayaparan – Directress and the Committee Members, to the accompaniment of the Kandyan drummers. 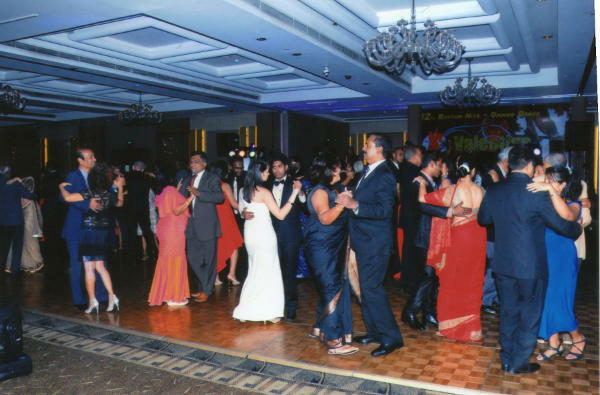 Most of those present being enthusiastic students of the Dance School, naturally the dance floor was fully occupied throughout the night till dawn with happy dancing couples enjoying themselves thoroughly . The scintillating dance music and singing that emanated from the two popular lively bands and the lively guest spot by Corrine Almeida, provided the correct atmosphere and added to the adeptness of the dancing couples – one could see enjoyment at its fullness written on their smiling faces. Viran, of course, added the necessary innovative ‘spice' while compering to keep the show lively and going till dawn. There were many valuable prizes and surprises (including air-tickets), games and competitions. The cutting of the Anniversary cake to the music of the ‘Papara Band' added spice to the already lively night. The performances of the some the students of Rhythm World was indeed eye-catching. As always the predominant feature of this Rhythm-Nite Dinner Dance was the genuine aura of friendliness and togetherness that pervaded throughout the night till dawn giving the atmosphere a family-feeling all around till dawn when ‘Kiribath & Lunumiris' were served in the real traditional line of events. A word of appreciation should go to the Dance Committee for the effective organizing of a good job well done ! All-in-all, the participants at the Rhythm-Nite Dinner Dance will carry with them for a long time to come, happy memories of a wonderful ‘night till dawn' well-spent ! 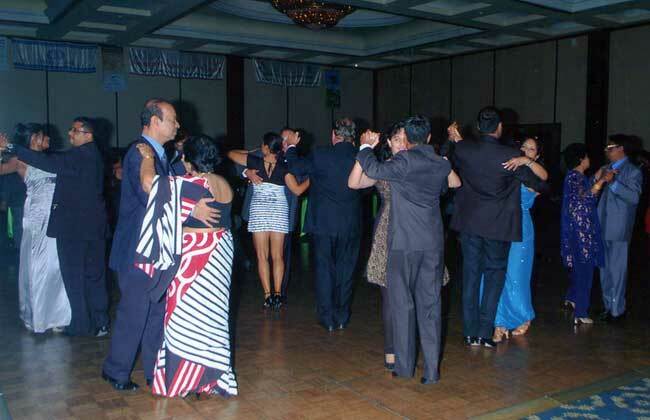 Remember the 'Rhythm-World Dinner Dance 2004? Well, those who attended and participated in that wonderful get-together will surely vouchsafe for its thorough success as a night of lively entertainment, sincere happiness and close togetherness! 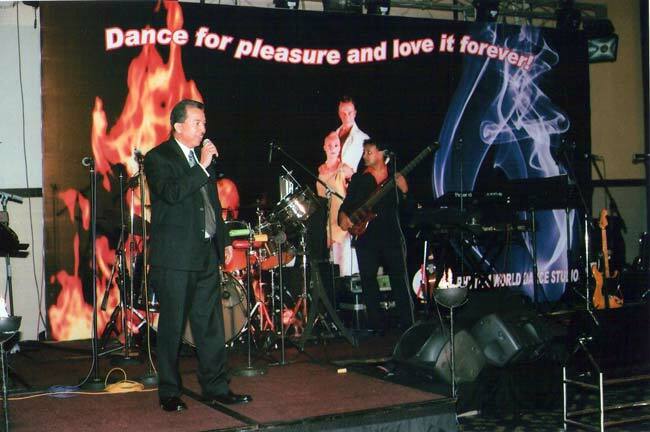 This year too the Rhythm World Dance Studio will hold its Dinner Dance for the second year in succession in November, 2005 with two popular dance bands in attendance- 'Sohan & The Experiments and 'Heat'. 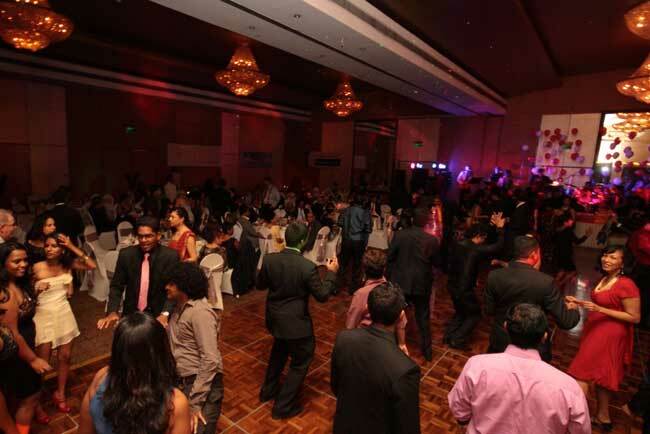 The Dinner Dance this year will be at the 'Sapphire Ballroom, Ceylon Continental Hotel, Colombo . The Rhythm World Dance Committee have made elaborate plans with more fun, more surprises and better prizes to make this year's Dinner-Dance even a bigger success ! Rhythm World students both past and present - make sure you are there to enjoy the fun! The Inaugural Dinner-Dance of “Rhythm World Dance Studio” took off the ground with a bang on the 6 th of November, 2004 at the Liberty Ballroom, Hotel Holiday Inn with ‘Heat' and ‘Super Pink ‘N' Purple' in attendance and Viran Corea compering the show. The Dance acts performed by the students of “Rhythm World” were indeed a feat. 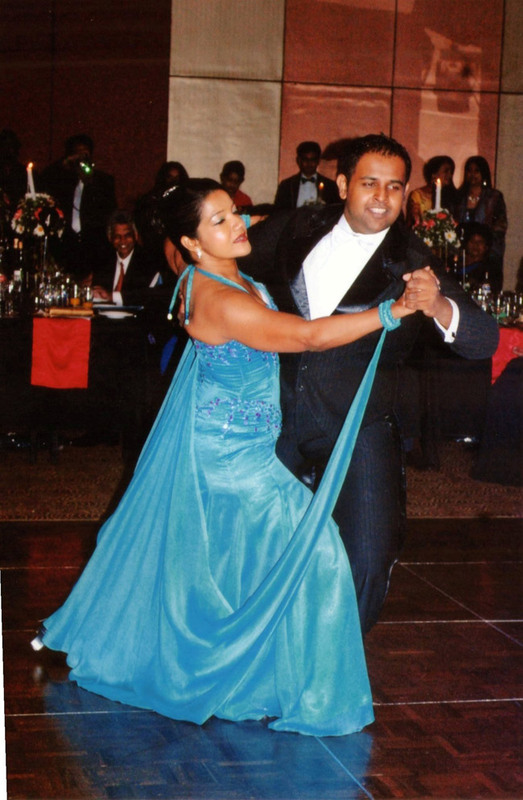 A swinging Salsa, a romantic Rumba, a gliding Waltz and last but not least, a ‘Dance of Fusion', wherein the dancers performed a Rocking Jive whilst the Kandyan Dancers moved to the song made popular by Annesley Malawana, ‘ Ruwanpuraya'. In celebration of the First Dinner Dance, a cake was cut in style with a ‘Papara' band bringing in the cake – which brought on many a smile to the faces of those present who, no doubt, enjoyed this surprise organized by the Dance Committee who worked tirelessly to make this event the success it was. 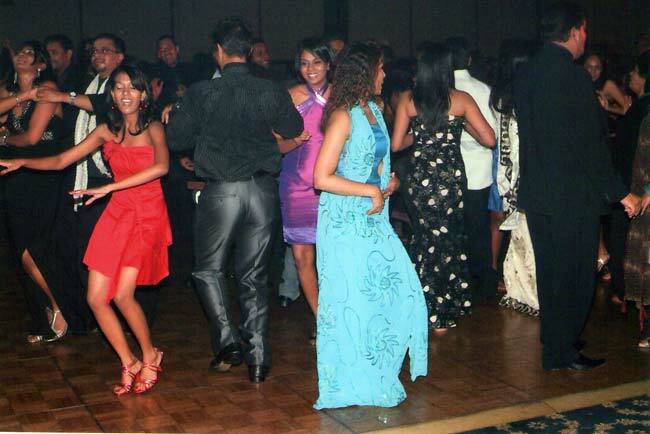 The first-ever dinner dance of this nature, of this still young Dance studio, was a great success with a host of past and present students involved in the organization on a personal basis. Many gifts were given away – including two Air tickets to Singapore and India . The fun and entertainment kept the crowd moving to the beat of the two bands until the wee hours of the morning ; they were then treated to a breakfast of ‘Kiribath & Lunumiris'. However whilst enjoying this night of fun and entertainment the Dinner Dance that was organized by the Studio had a humanitarian purpose. 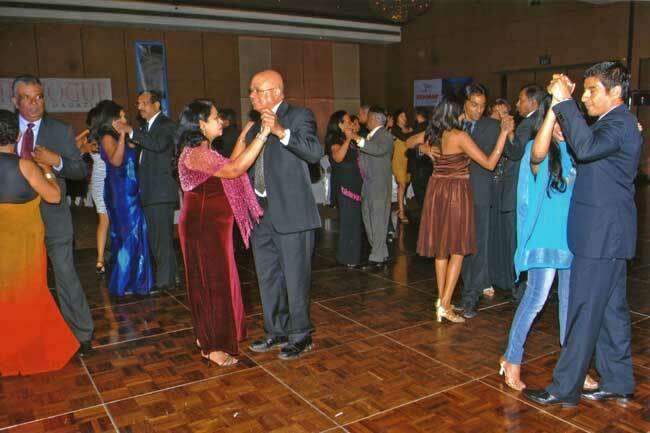 The proceeds of the dance was to be donated to the ‘Paediatric Ward of the Cancer Hospital , Maharagama.